Seriously, I do this, because I want to have students’ names down within the first week of class. 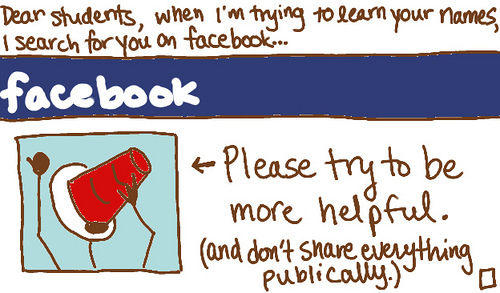 Consider this a public service announcement: choose what you share. Don’t let facebook choose for you.